QUEENS (WABC) -- A man accused of making dozens of false alarm calls to a building in Queens is under arrest Thursday night, facing a string of charges. 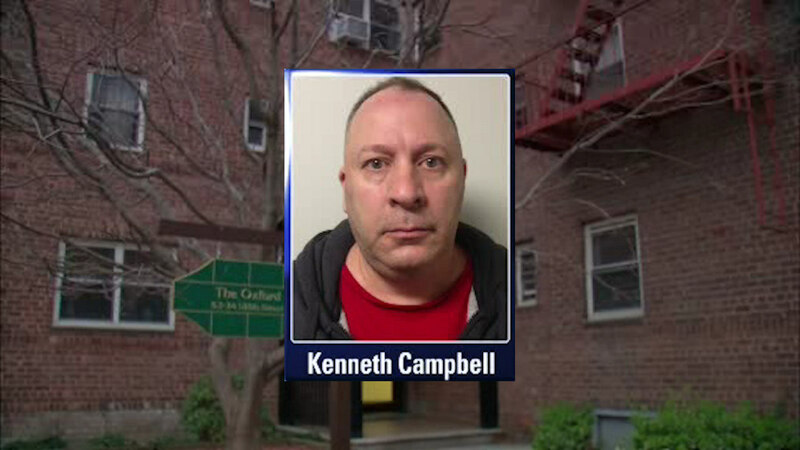 Kenneth Campbell, 47, is accused of making 36 false alarm calls to apartments throughout his building on 135th Street. Police say the calls ranged from gas leaks, electrical fires, bomb scares and medical assistance. Multiple agencies responded to some of the calls. "Reporting a false alarm is a senseless crime which deliberately wastes Department resources and needlessly puts the lives of New Yorkers and FDNY members at risk," said FDNY Commissioner Daniel Nigro. "I applaud the investigative work of our Fire Marshals to track down and apprehend the individual responsible for these malicious and dangerous fictitious incidents." Mr. Campbell is expected to be charged with making terroristic threats, falsely reporting an incident, and aggravated harassment.